GettyMeghan Markle seems pretty down-to-earth. She doesn’t like too much foundation and likes her freckles to “peek” through. She’s already proven she’s willing to defy royal protocol in more ways than one, whether it’s hugging a member of the public or something as simple as not wearing tights (rebel!). And now her former hairstylist and makeup artist, Lydia F. Sellers, has revealed details about her beauty regime to Refinery29 – and it suggests she’s just as low-maintenance in this department. “To this day, my pet peeve is when my skin tone is changed and my freckles are airbrushed out of a photo shoot,” she told Allure. According to Sellers, Markle’s look has barely changed since news broke that she was to become a royal. It’s impossible for anyone to know for sure how the “Suits” star’s style will play out on her big day, but Sellers, who worked with Markle for two years, had one prediction for what she might go for with her wedding hair. As it’s going to be a very royal affair, Seller suggested Markle could opt for something elegant, such as a chignon. “You never know, but that would be my guess,” she said. 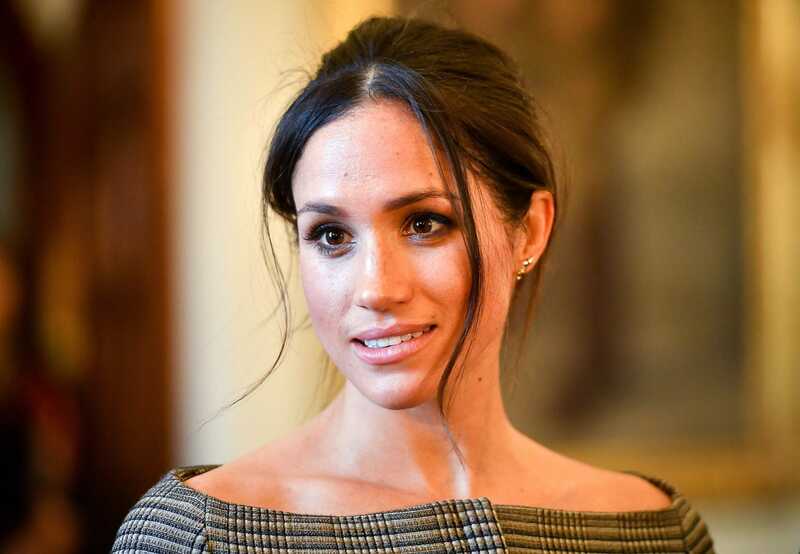 However, Markle typically likes to wear her hair down, she explained. “That’s the look she gravitates toward.